It's the Twelfth Night of Christmas; a date which usually marks the end of the festive period. Since Victorian times it has been tradition to remove Christmas decorations before or on the night of January 5. Tonight is also the last opportunity to witness stunning Christmas light displays, including the Angarrack illuminations which begin at 5pm and last until 10:30pm. 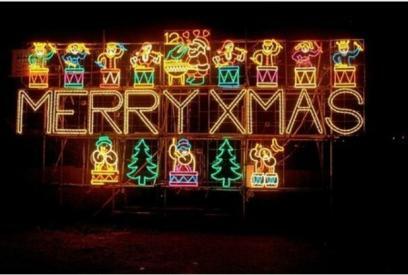 Organisers said: "Last night to see the Twelve Days of Christmas with their cheeky crocodiles and all Santa's Reindeer dotted all around the village of Angarrack. "We hope to see you there." West Cornwall was treated to a range of stunning light shows this year; as ever the likes of Penzance, Newlyn, Mousehole and Marazion came up trumps and saw hundreds flock to see them. There were also festive decorations in the form of window art; notable displays in Penzance and St Ives were huge talking points over the last month. However now that most of us are two days back into our working schedules the Christmas celebrations of 2015 seem far away in the memory and now it's officially over (until the supermarkets start stocking Christmas treats in the summer). Have you taken your decorations down yet? Which lights show was your favourite?